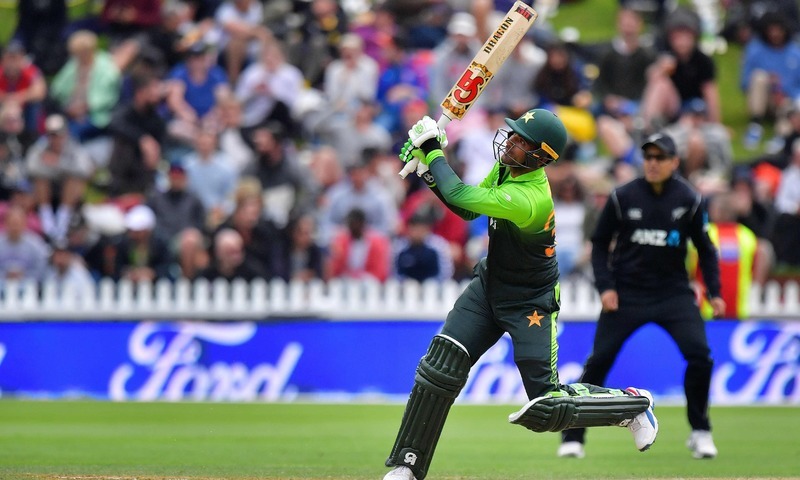 New Zealand won the first one-day international against Pakistan with a 61 run lead under the Duckworth–Lewis method as the match was abandoned on Saturday. Pakistan had scored 166 runs at a loss of six wickets as they had a hard time trying to chase the daunting 316 run target set by the Kiwis before rain intervened and halted play. As the first five wickets tumbled within 16 overs, young opener Fakhar Zaman held fort and was 82 runs away from a century when rain set in during the 31st over of the game. Earlier, after Pakistan won the toss and asked the opponents to bat first, Kane Williamson overcame blustery conditions to score a century and lead New Zealand to an imposing total of 315 for seven. The wind was so strong that by the sixth over the umpires had tired of repeatedly replacing the bails so decided to play without them until the weather calmed. Williamson remained unruffled throughout as he notched his 10th ODI century before being dismissed for 115 off 117 deliveries. Colin Munro and Henry Nicholls also chipped in with half centuries with Munro’s whirlwind knock producing 58 off 35 deliveries. The New Zealand opener is in a rich vein of form after making a hundred and two half-centuries in his team’s three Twenty20 matches against West Indies. He smacked six fours and two sixes before he edged a good length Hasan Ali delivery to Sarfraz Ahmed behind the stumps. Martin Guptill briefly lifted the run rate to more than seven an over until he was caught for 48, giving Fakhar Zaman his first ODI wicket. The bails were returned when the wind died down in the 28th over but came off four overs later when Hasan bowled Ross Taylor for 12. Tom Latham went for three before Williamson and Nicholls put on 90 in 13.2 overs for the fifth wicket. After Williamson went, Nicholls followed in the next over for 50. Hasan claimed Nicholls’ wicket to finish with three for 61 and also took the catch to dismiss Williamson.